2014 KTM 50 SX. Picture credits - KTM. Submit more pictures. 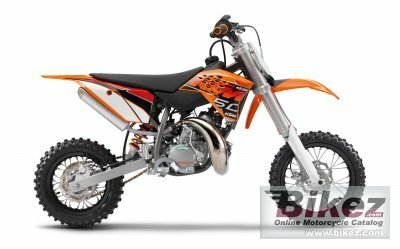 A true KTM for young MX riders. A genuine motorcycle with top-quality components which are easy to control and whose engine is distinguished by a steady power delivery. The automatic clutch is a great feature for young novice riders. Ask questions Join the 14 KTM 50 SX discussion group or the general KTM discussion group.